Many new mamas find they have some pregnancy pounds to lose postpartum and little time without baby to get their sweat on. So working out or running with a stroller? Well, that’s just the perfect solution, don’t cha think? That’s why Fit Bottomed Mamas recently got Tara Zimliki, certified trainer and fitness expert, to weigh in on how you can begin running with a stroller to lose those pregnancy pounds, get healthier and have fun with baby—all at the same time! 1. Get specific about your stroller. Research the right running stroller for you. Find a stroller specific to whether you are running on trails or road. There are so many brands and models on the market, so find the best one for you and your needs. 2. Start small with baby steps. Begin running as much as you feel comfortable since it will take time to adjust to running again postpartum—and also some time to adjust to running with a stroller. Make sure you begin jogging after your doctors clear you at your postpartum check up (usually six weeks). 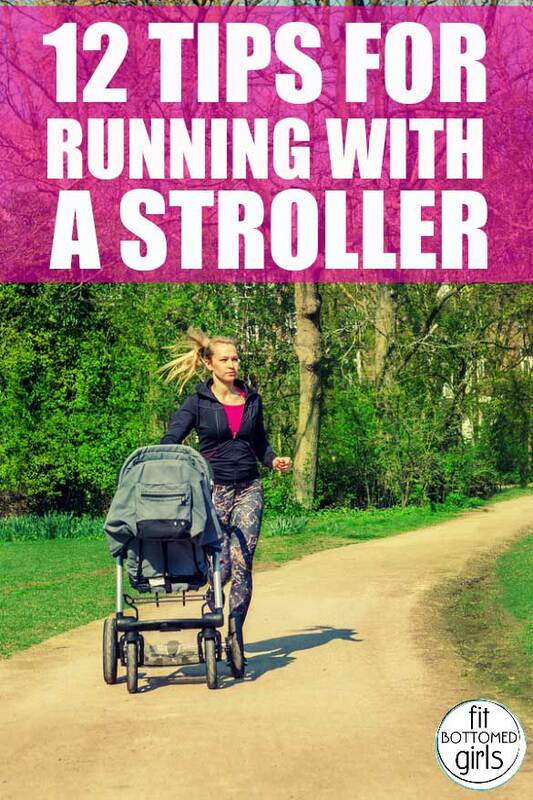 I have yet to try this but I must agree that running with a stroller hits two purpose, to get fit and bond with your baby. Now that’s fitness and time management roll into one. Great tips thank you. I started a stroller friendly race calendar, Run Stroller Run (http://www.runstrollerrun.com). We have more than 1000 races listed throughout the US and we are adding at least 20-30 more races a week. You can sort by states (categories) and distances (Tags).